We have reduced the intensity of carbon emissions per talent by 20% since 2010. 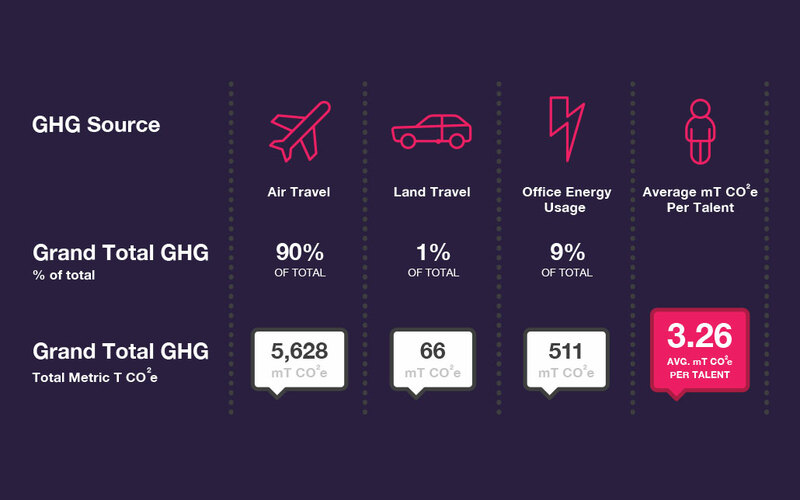 90% of MCI’s internal carbon emissions are created by the air travel of our staff, with office energy usage accounting for the remaining 10% of our internal footprint. 33% of our reporting offices run on or purchase renewable energy. We have decoupled carbon emissions increase from economic growth, and want to further reduce our carbon emissions intensity by 20% by 2020. Over the years, we have taken actions to reduce our carbon emissions by being more efficient and encouraging our offices to green their operations. In 2017, we wanted to push our commitment one step further by compensating unavoidable emissions. 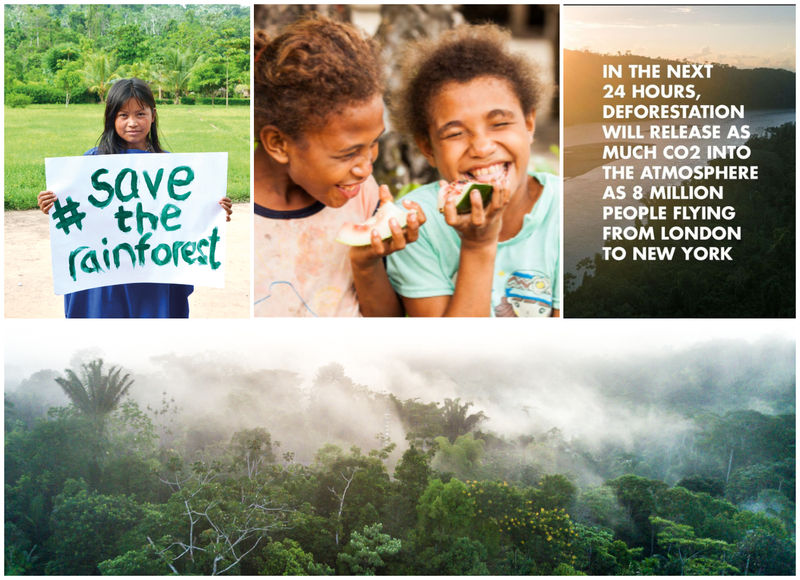 We decided to partner with Cool Earth, a non-profit organisation that works alongside rainforest communities to halt deforestation and its impact on climate change. Cool Earth was our preferred option as we wanted something real and measurable, with a significant positive impact on our environment. 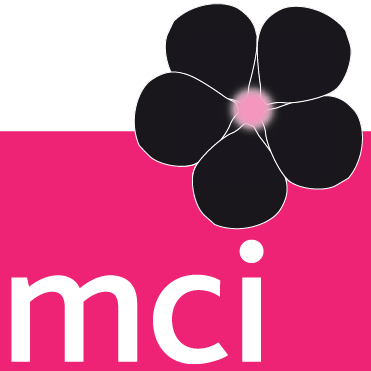 We also like Cool Earth’s approach of putting people first; very much aligned with MCI’s Core Values. 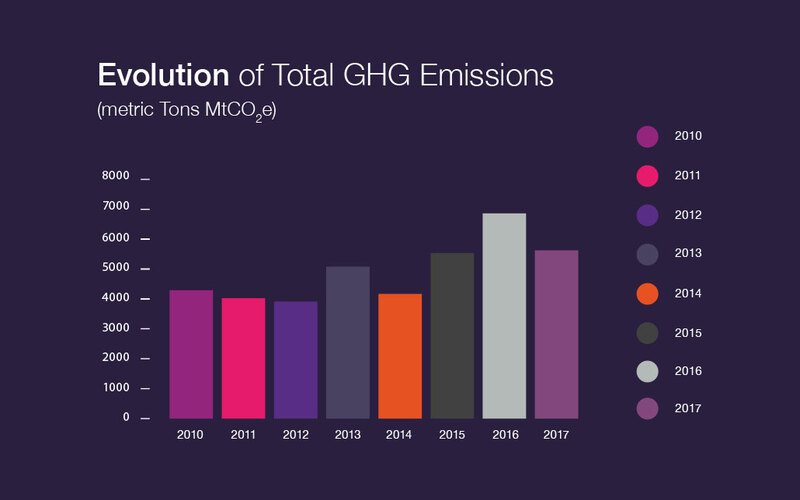 Our total greenhouse gas emissions was 5,628 metric tons of CO2 equivalents (tCO2e) in 2017. This equates to 3.26 tCO2e per talent. We have reduced the intensity of carbon emissions per talent by 20% since 2010. We estimated the 2017 carbon footprint of the events we’ve organised for our clients at 960,000 metric tons CO2e. In 2017, we welcomed over 1.2 million delegates to our events. With our client event emissions representing over 99% of our total footprint, they are clearly one of our key material issues. These Scope 3 Emissions provide one of our key business challenges, as our core services involve bringing people together and transporting people around the world – a major cause of carbon emissions. 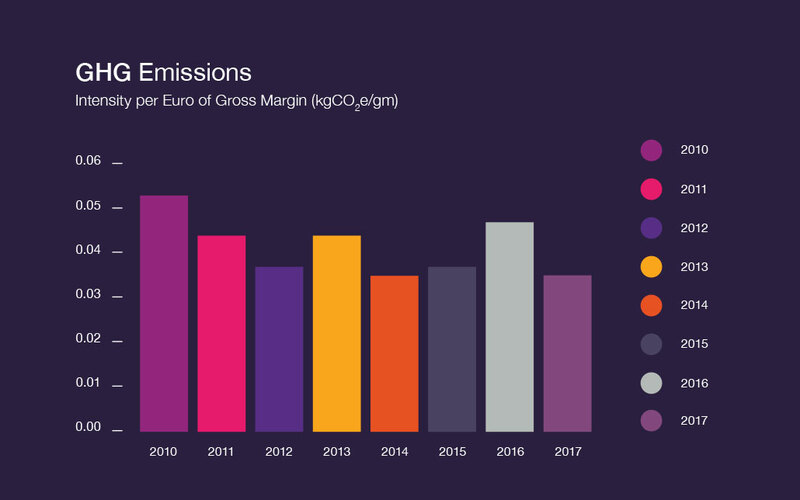 To reduce these client-created emissions we need to constantly innovate actions to offer better meeting solution technologies, rethink where we locate events, educate and raise awareness about sustainability within our value chain, and create new services to help our clients. This is driving us to focus energy and resources into developing an industry leading digitisation strategy. Our Greenhouse Gas (GHG) measurement processes follow the UK Government’s Defra GHG Reporting guidelines and the WRI Greenhouse Gas Protocol. We report using Carbon Dioxide Equivalents CO2e, which account for carbon emissions and other more potentially damaging greenhouse gases (SF6, CO2, CH4, NO2, HFCs, PFCs). Our emissions factors are obtained from Defra.